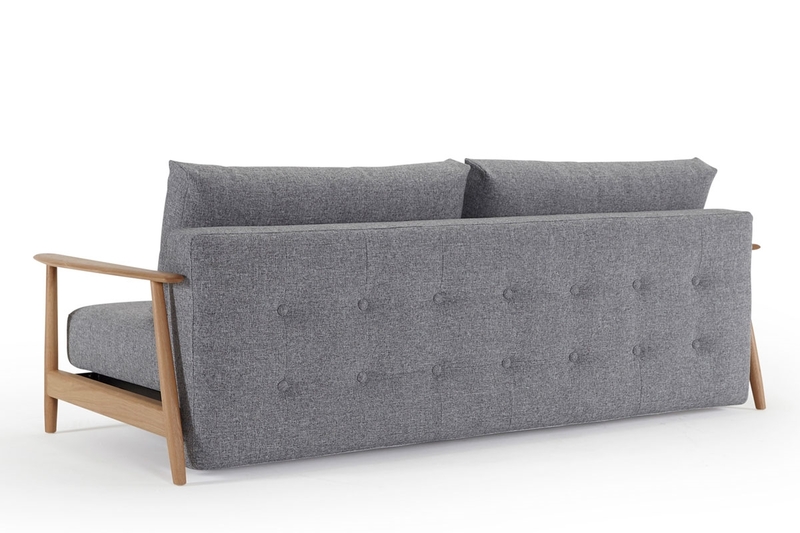 New for 2018, the UNA DELUXE BUTTON Sofa Bed is simplicity itself! 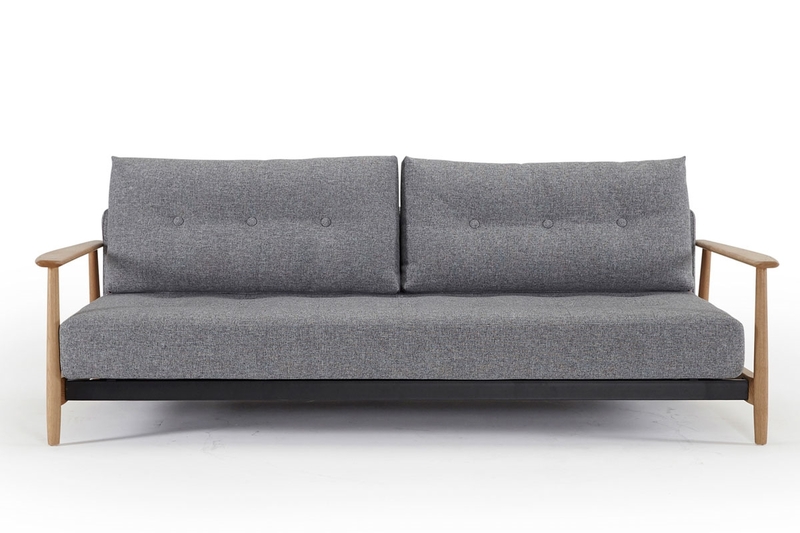 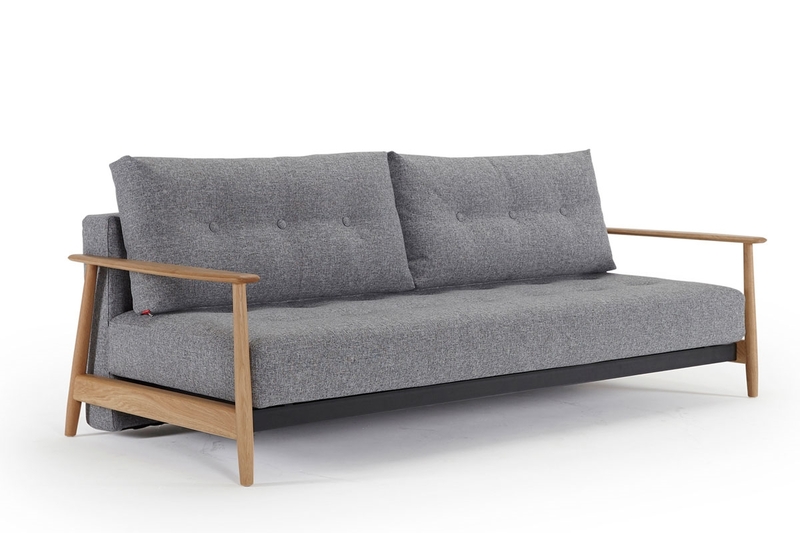 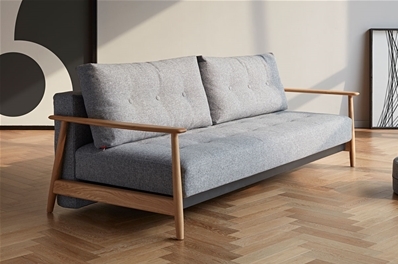 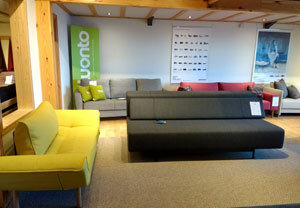 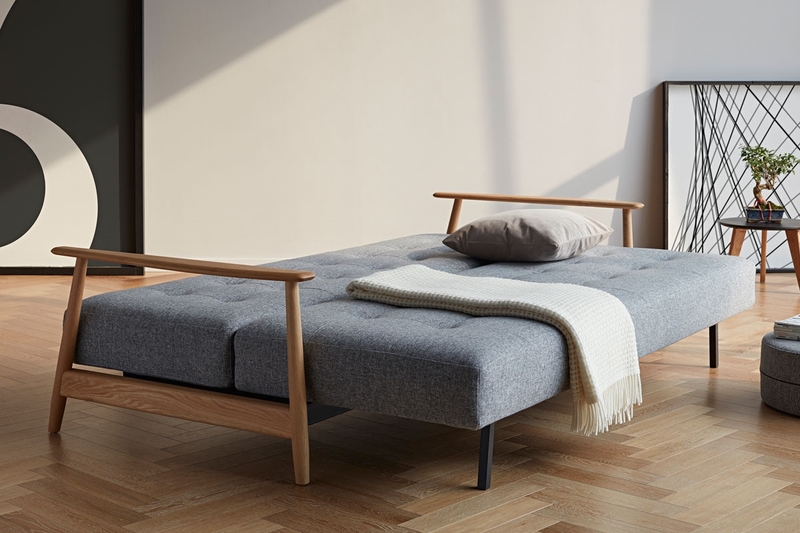 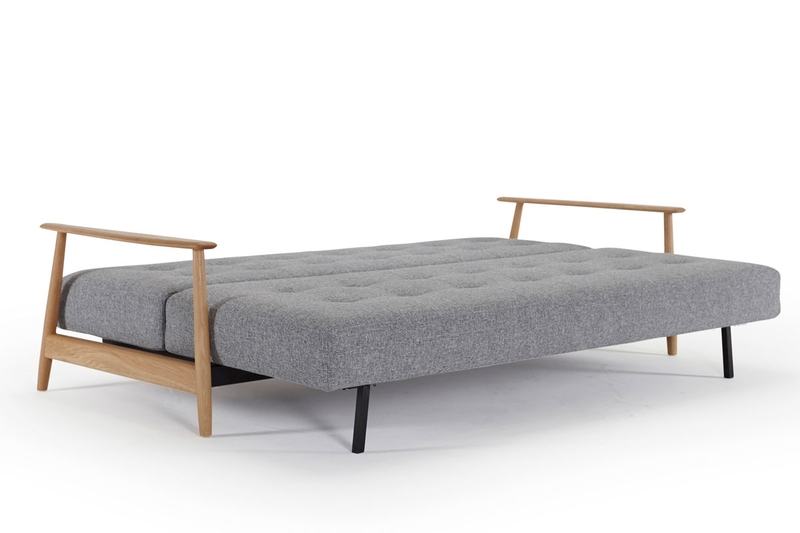 Designed by Oliver Weiss-Krogh & Per Weiss it is a comfortable sofa by day and a supportive bed by night. 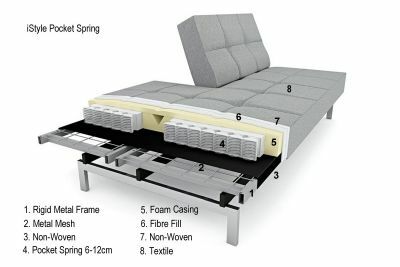 As you would expect with Innovation sofa beds, the UNA DELUXE BUTTON has a solid and sturdy frame and is constructed with their pocket-spring mattress to provide a very comfortable seat and supportive sleeping surface. 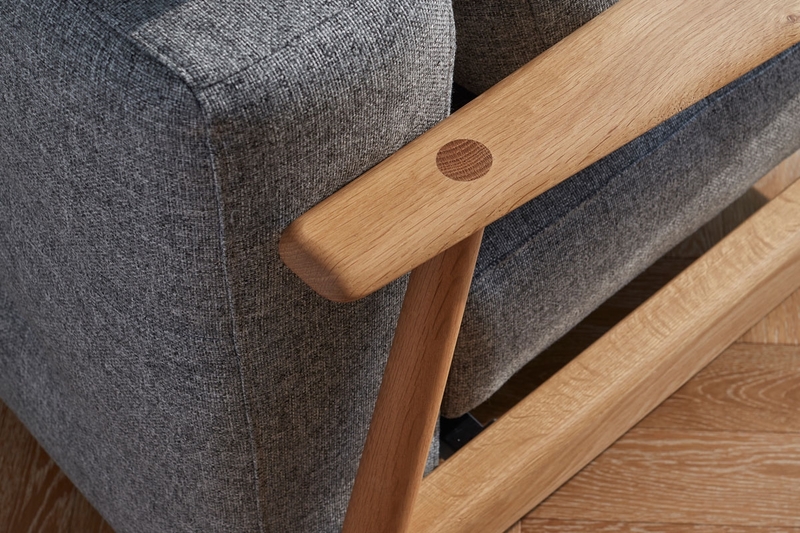 The beautifully crafted lacquered oak arms add an elegance to further enhance the familiar Scandinavian style. 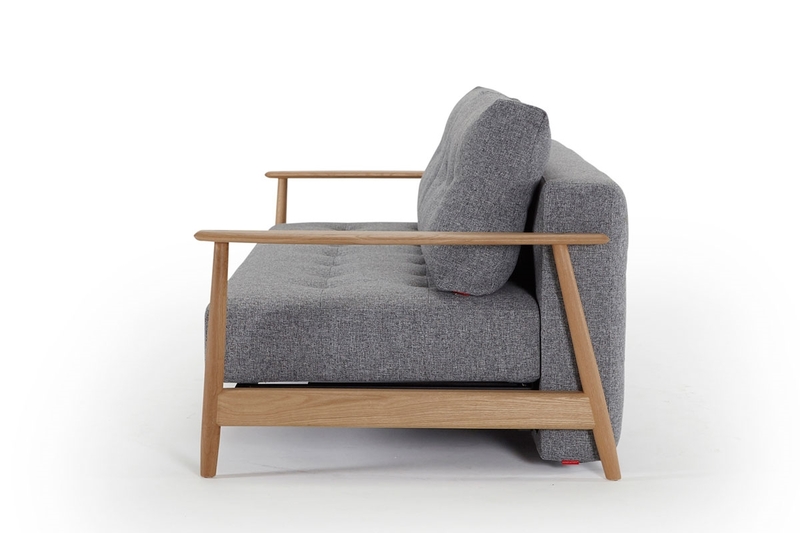 The soft backrest cushions and the button detail make this model feel very welcoming. 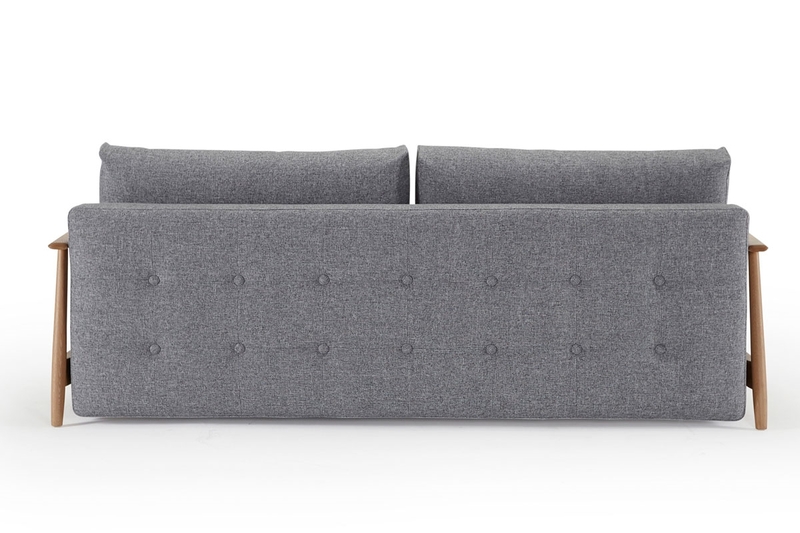 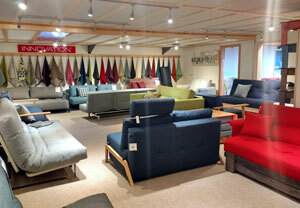 The UNA DELUXE BUTTON is offered in a wide range of quality upholstery fabrics.